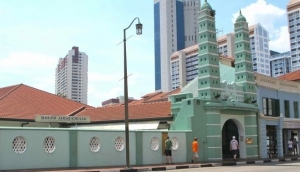 As such a richly multi-cultural community, with a harmonious blend of peoples and religions, it is no surprise that Singapore is home to so many beautiful mosques, churches and temples. In addition to its places of worship, the city is alive with cultural and religious events throughout the year. Have a look at our events page - you'll find them listed and described. You'll also be interested to read our article about the top ten temples to visit during your stay here.